1) Captain Kennedy was regarded as a hero of the British Empire for his exploits in the Arctic. He was honoured by famed Antarctic explorer Ernest Shackleton in 1910. He reached the furthest tip of the North American continent and has four places in the Canadian Arctic named in his honour. 2) Captain Kennedy’s discoveries, his use of native technologies and his conclusion that the NW Passage might be uneconomical and impractical all changed prevailing opinions about Arctic exploration. He made these points in the first presentation to the Manitoba Scientific and Historical Society in 1879 an organization of which he was a founder. 3) Captain Kennedy played an important role in ensuring that the Northwest was acquired by Canada and not the United States. By gathering the 575 signatures on his petition asking for more autonomy for the colony, Kennedy linked Red River Settlement’s future to Canada. 4) It was largely through Kennedy’s efforts that not only was the British/future Canada’s sovereignty protected, but that his (and his nephew, Alexander Kennedy Isbister’s) petitions to the British parliament on behalf of the people of Red River had the effect of breaking the Hudson Bay Company’s monopoly rule and bringing more democracy to the Red River. 5) The construction of the house on River Road on his Cree mother’s property clearly indicated the wealth and prestige of an English-Métis family in Manitoba during the pre- confederation era. The untold story of the decline in fortune of this and other indigenous families once the immigrants from Canada deluged the Métis and indigenous population (within a decade of confederation) is embodied in this house. From this artifact, the story of ” what happened next? ” to the status of mixed blooded citizens and of other indigenous peoples in Manitoba can be told. As part of national reconciliation, this is a story that must be told! 6) For the sake of balance in the interpretation of Canadian history, Captain Kennedy’s story and that of his family deserves to be heard. The heroics of Captain Kennedy before and after his Arctic adventures, the impossible circumstances that brought him to the attention of Lady Franklin, the wife of his childhood idol, the fairy tale meeting of the dashing Métis explorer with his future wife, Eliza, in the entourage of Lady Franklin, their marriage and their lives along the Red River demonstrate the romance of the frontier and the courage in the face of adversity, discrimination and the winds of change. 7) Captain Kennedy should also be recognized as a peacekeeper. 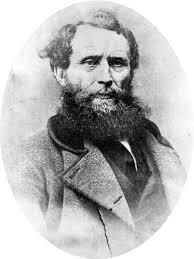 Most notably, It was he (from his sick bed)who counseled Louis Riel to shed no blood during the resistance of 1869-70. Years earlier, he had quit the Hudson’s Bay Company because it used alcohol as an instrument of trade with indigenous people and then ignored the violence and other detrimental effects which resulted. He had also led the most successful expedition in search of Franklin partly because he allowed no liquor on board. Unique among such missions, the whole crew returned safely without the loss of a single crewman. His second-in-command praised Kennedy’s wisdom in making the trip “tea total” as it accounted for the lack of divisiveness, violence and death which had characterized other explorers’ voyages. 8) To undertake voyages into the Arctic at that time, with a tiny ship, limited maps and only his innate skills and intuition to guide him, make Kennedy a legend. The other attributes of his character; the same stalwart loyalty, his overarching drive to achieve the near impossible and his humility at not desiring to capitalize on his fame make him a model for young Canadians. These attributes were acknowledged in 1910 by the British Empire when Antarctic explorer, Sir Ernest Shackleton visited Captain Kennedy’s grave and laid a plaque in his honour in the St Andrews Church. 9) While Britain recognized Kennedy’s contributions over a century ago, Canada, for reasons that border on negligence or even racism has not accorded Captain William Kennedy his due. Even Southampton, Ontario has celebrated Captain Kennedy’s role in founding their community. There is no better time to amend this situation than now. Young indigenous people are looking for representatives of their history not from the era of Joseph Brant or Tecumseh. Examples like Kennedy are rare in our history books; someone who helped create a province or unroll the map of Canada’s north or for whom several places are named. Has your family made a significant contribution to the R.M. of St. Clements? Would you like to share your story in the “Family Story” section of our website so it will be available to future generations? Send us your story!